We're very excited about our newest product, VermaMax®. This organic fertilizer is a very special chicken litter (poop). Why? Because it's composted using the patented formula found only in VermPlex®. This all purpose, indoor/outdoor all natural organic plant food provides extra nitrogen and (this is the most exciting part!) 6.72% Calcium. ​​As you may know, calcium is very hard to obtain in sufficient amounts in organic fertilizers. The 6.72% Calcium found in VermaMax® is one of the reasons it is getting such fantastic results. "The green is unbelievable!" is a comment from one of our customers who applied it to his lawn. Tip: Because of the extra nitrogen, when using VermaMax® wait a week before applying VermaPlex® to avoid burning. 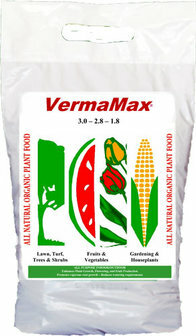 Also, keep VermaMax® back from tender young plants. 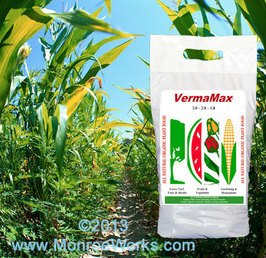 VermaMax ® is now available at our online store in economical 40 pound bags. 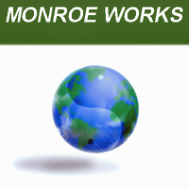 Order today and give your garden, lawn and plants an extra boost.